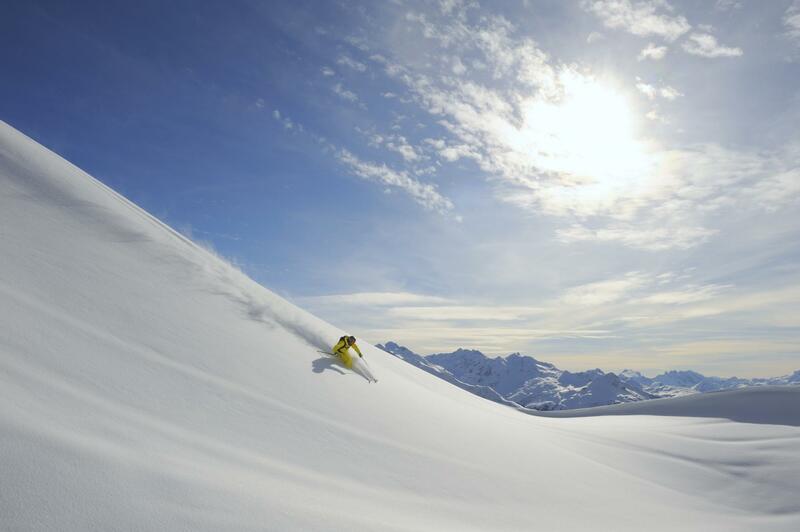 Over 300 kilometres of perfectly prepared ski slopes, 200 km of high Alpine deep-snow descents, 87 lifts and railways: The Lech Zürs Arlberg ski region can only be described in superlative terms. No wonder that the readers of Condé Nast Traveller nominated the “Cradle of Alpine Skiing” as the best skiing region in Europe. 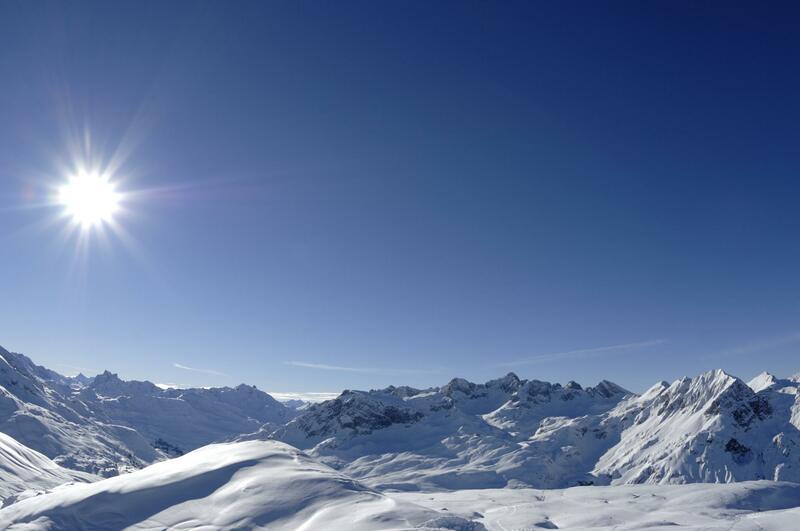 With the opening of the new Flexenbahn from December 2016, all ski resorts in Arlberg will be linked together to create the fifth-largest skiing region in the world. It extends from St. Anton in Tyrol via Lech and Zürs to Warth and Schröcken in Vorarlberg and is thus unrivalled in Austria. Thurnher’s Alpenhof is not only a hotel in the middle of this stunning ski area, it is also the best ski in ski out resort in Austria you will ever find! And what will the weather be like? Brilliant sunshine or romantic flurries of snow? With the reliable four-day forecast, which is updated continuously, you will be able to plan your holiday activities. Roman Dornauer is our ski guide, available to our guests free of charge throughout the entire season. He is a nationally certified ski and snowboard teacher. Since we are a ski in ski out hotel in Austria, it’s much easier for Roman to organise guided ski tours every day. 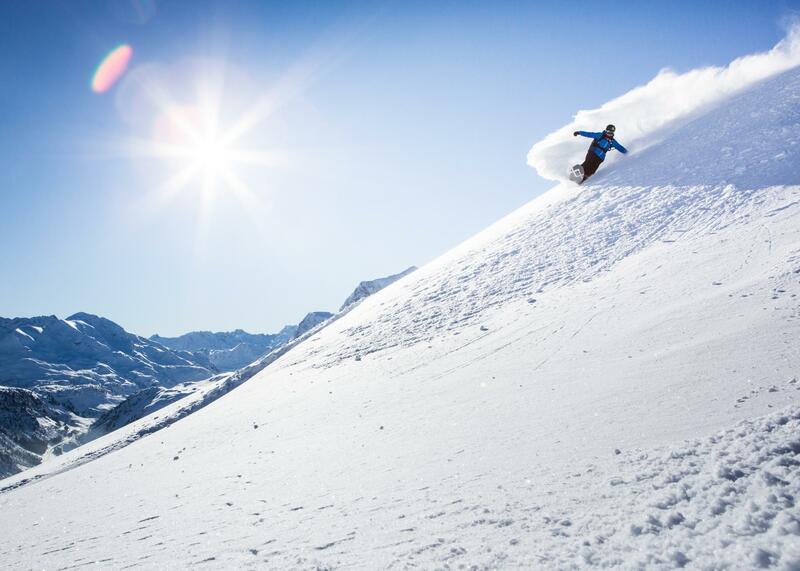 With an altitude of almost 1,720 metres, Zürs at the Arlberg is an exclusive famous winter sports resort that offers a magnificent mountain backdrop and top conditions for skiing and snowboarding. For winter hikers and snowshoe walkers, we have a wide-ranging network of winter trails. For the most adventurous ones, we have amazing opportunities and a bird’s eye view of the magnificent mountain world. SKI IN SKI OUT IN AUSTRIA – CONCEPT! Imagine a ski holiday where you can walk out your front door and straight onto the slopes, sliding off down the mountain and, whenever you want, you can return right to the hotel. ski in ski out in Austria, at Thurnher’s Alpenhof, is like that. We have the privilege of being in a flawless location, so you don’t have to think about anything else when you go skiing! Forget about crowded shuttle rides, steep climbs with your equipment at your back or about a long journey from home. Everything is much easier when you choose a hotel directly at the pistes of Zürs at the Arlberg — that's the real concept of ski in ski out in Austria. We provide you with that and with much more at Thurnher’s Alpenhof, just check the amazing winter experiences you can appreciate in our hotel! SKI IN SKI OUT IN AUSTRIA – ADVANTAGES! Proximity is the perfect word to sum up the main advantage of ski in ski out in Austria: it’s obvious because you are close to the mountain! The travel times are shorter, and you go directly to the snow. You don’t need to carry on the ski or snowboard, for a long time, and you don’t need to walk for so long with the uncomfortable ski boots. Best part: you can avoid the freezing cold while waiting for a shuttle. At Thurnher’s Alpenhof your kids are very important for us and it will be a pleasure taking care of them, while you are relaxing after a long day of ski.